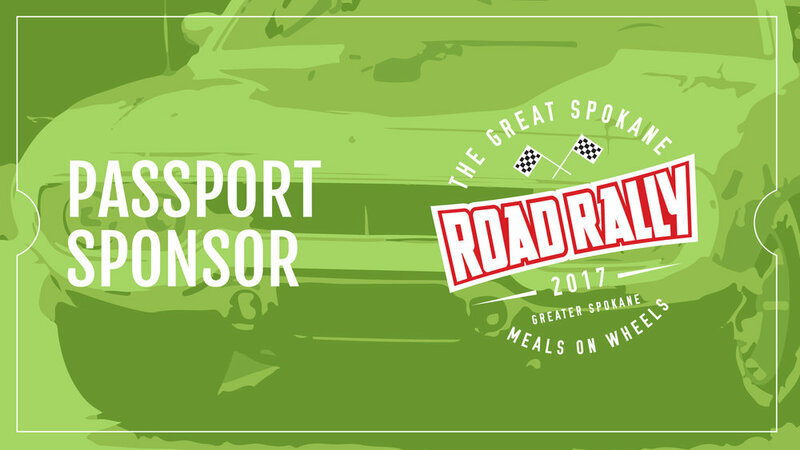 For your sponsorship of The Great Spokane Road Rally, we will provide your business with the opportunity to reach out to a wide variety of people from all over Eastern Washington. We anticipate that the majority of participants will be from the multiple car clubs from our area and those who are working within the senior industry. Your business will also be aligning itself with a trusted agency in Spokane County that has been around since 1979. GSC MOW is the largest Meals on Wheels program in Spokane County serving the whole county. Thank you! Your consideration and support is so greatly appreciated!! This event should be a great time! We will serve over 275,000 meals to seniors and disabled persons this year. Roughly 1,000 meals a day; Monday through Friday. 95% of clients say that receiving home delivered meals allows them to have enough food to eat. 91% of clients say that receiving home delivered meals helps them to remain living in their own homes. Logo on all GSC MOW Road Rally signage, advertising, and social media websites as the King of the Road Sponsor. Logo will be on the front page of GSC MOW website with link for 1 year. Large logo Lighting or corporate banner hung at dinner and within the day’s events. Logo on all GSC MOW Road Rally signage, advertising, and social media websites as Checkered Flag Sponsor. Logo on all GSC MOW Road Rally signage, advertising, and social media websites as Crew Chief Sponsor. Logo on all GSC MOW Road Rally advertising, and social media websites as Pit Stop Sponsor. Signage at a Pit Stop (Challenges). There can be more than one pit stop sponsor per challenge, but will try to not have competing companies at one stop. Logo on all GSC MOW Road Rally social media websites as Co-Pilot Sponsor. Greater Spokane County Meals on Wheels, accepts no liability for injuries or losses incurred by participants and accompanying persons, or for any claims that may result from the use of information, techniques, products, and services discussed. Nor do they express or imply endorsement of sponsors, or faculty.